Submitted by dave on March 15, 2007 - 8:55am. View larger. 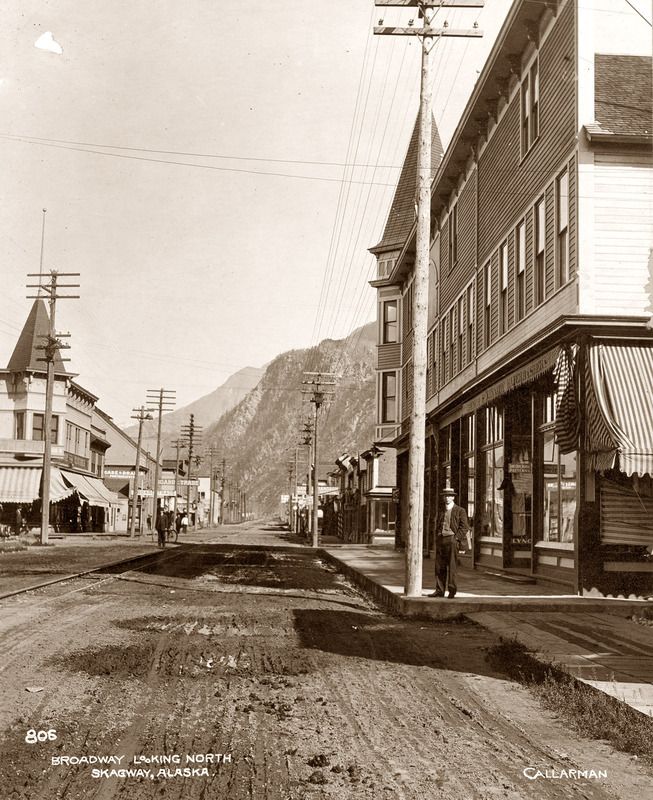 Looking north on Broadway in Skagway, Alaska, circa 1900. Photograph by Callarman. Buy fine-art print.